One of the worst parts about winter is walking on sidewalks that haven’t been cleared. You know the feeling of wet feet, precarious steps and the extra effort of wading through snow to make it to your destination, and Snow Removal Services Boston is here to help. We specialize in sidewalk snow removal and are always ready to help you retire your shovel. Stop waiting for the neighbors’ kid to stop by and shovel your sidewalks for you, and depend on the reliable and affordable services only Snow Removal Services Boston can provide. ​If your business operates on customers coming through your storefront then your sidewalks need to be cleared. Messy and covered sidewalks not only pose health risks, but can lead to costly insurance claims. Ensure that your sidewalks are safe and inviting this winter with Snow Removal Services Boston. From shoveling and clearing, to salt and deicer, our snow removal company can make sure that your business is open, inviting and ready for action all winter long. Stop procrastinating about your important sidewalk snow removal needs and get in touch today. 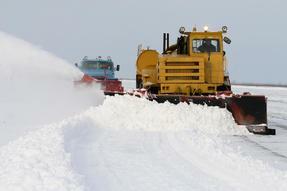 Learn more about our Commercial Snow Removal Services here. ​At Snow Removal Services Boston we want to help you live your life better this winter season with our residential snow removal services. Our snow removal company specializes in sidewalk snow removal so that you’ll be able to start living a safer and more hassle free life this winter. Whether you’re clearing your sidewalks for the postman, or ensuring they’re safe for the neighborhood children to walk on on their way to school, our snow removal services can take the headache and stress of snow shoveling away. Learn more about our Residential Snow Removal Services here. ​Our business is snow business and we provide routine services to help you better enjoy your day-to-day lifestyle. Whether the snow is falling all week, or is simply accumulating here and there, our routine sidewalk snow removal service is the best way to combat your winter woes. Our team of snow removal specialists are on call and standing by each and every time it snows. You won’t have to wait days or weeks for our team of experts to show up. When you sign up for routine sidewalk snow removal, our teams of snow specialists will be on the ground every time your sidewalks are covered. ​From shovels to bobcats, snow blowers to salt, Snow Removal Services Boston has everything we need to clear your property in a flash. From shoveling residential sidewalks, to using our bobcat around schools and larger government buildings, we always have the right piece of equipment to get your job done quickly and effectively. We own all of our own equipment; so that you can rest assured that when the snow begins to fall you won’t have to wait for us to rent a necessary piece of equipment. All of our equipment is regularly serviced and standing by for almost any job. We bring the equipment to you, so that you’ll never have to invest your own money into snow removal equipment. From double scoop shovels, to tandem dump trucks to haul the snow away, our snow removal company is renowned for having the best equipment in the biz.